During my short term mission “Camelot” years at Willow Creek during the early 90’s, I had the task of writing curriculum for the then 5-10 short term mission (STM) teams that Willow sent to Mexico. It was daunting as I couldn’t seem to find too much help in finding good material to prepare our teams. So like many, we wrote our own. Yes, I had been on many trips myself and had just returned from Kenya with my family for a whole year of serving as short termers. During that year we hosted many short termers in our home and realized that some struggled to adapt and some did well. Most admitted that they felt unprepared for their experience. For about 8 years my church team was preparing about 25 serving teams to serve each year. We used many versions of curriculum that we edited and reworked. In 1999 I decided to publish what I had worked on. Today that Bible study guidebook, Before You Pack Your Bag, Prepare Your Heart, published by STEM Press, has sold about 100,000 copies. 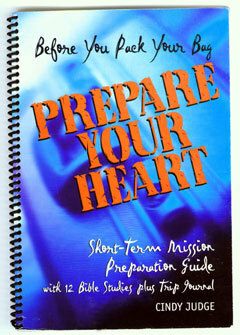 It is still the biggest seller in mission history of a STM preparation guide. I am so grateful that youth pastors and church missions programs don’t have to start from scratch as we did back then. But most of all I am grateful that teams are going out with a solid orientation and a challenge from God’s Word. They have begun their journey into mission work with preparation in areas that challenge them to realize that the “how” of doing their work is more important than the “what”; that we need to be Christians first, not Americans first as we approach serving in a new culture (or anywhere, for that matter). We need to understand that bringing our technology or our stuff is NOT the most important gift to bring to the people we serve. That to go with an attitude of openness and acceptance and learning about our new friends overseas will allow us to be the best servants in Jesus’ name. Don’t forget to pray for all those going out this summer to serve. Their service does more than you might think. Most of us don’t realize that most often the hosting group so appreciates being validated and valued when Americans come to visit them, to serve their needs, and just love them. There is a mutual experience of both parties understanding they are a part of the body of Christ. Be sure you take time to ask anyone you know who has gone, what they have learned. How do I begin to share the impact that Elisabeth Elliot had on my life. Her influence will live on in me though she is now in heaven, as she entered the gates yesterday morning. She inspired my youth, my middle years and to this day. It seems that I can’t remember ever not being influenced by her story, her writing, her speaking…her life. Since I can remember I have known her story…of her husband and fellow Wheaton College buddies all pursuing their call to missions by joining a team to reach an unreached people group called the Auca Indians in the jungles of Ecuador, who though seeming to accept their friendship ended up killing all of these 5 young men. The story emerged into my childhood reality in the mid-50’s when it happened. 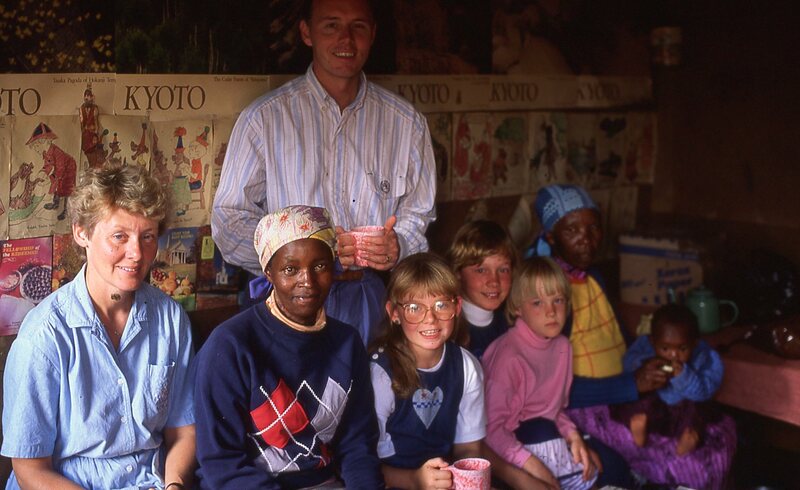 When I was in high school in the late 60’s, I heard talks given by many of the 5 martyrs’ friends at Youth for Christ camps and rallies…that story of their sacrifice and their desire to reach out to stone-aged people to bring them the love of God, did more to influence my desire to give my life to missionary work, than anything else. God used their commitment to challenge me and helped me give myself to be available to God, whatever the cost. There is no age too young that God can’t speak powerfully to our hearts. I read Through Gates of Splendor one high school summer and it inspired me to follow Jesus and be obey His call. It continues to be my favorite missionary story and it was my introduction to Elisabeth, not only as one of the wives of the 5 martyrs, but a significant writer and thinker. 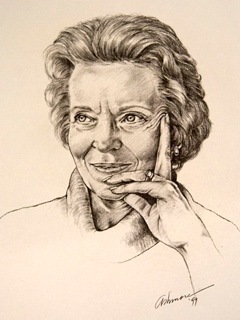 Please enjoy the CT article about Elisabeth Elliot. I could hardly believe that I would be my home church’s first short term missionary and spend a summer in Quito, Ecuador. We flew to a neighboring group of Ecuadorian Indians landing on a dirt air strip and met those who were kin to the Auca Indians. I was able to visit Shell Mera and see the room where the martyred women and children, including Elisabeth Elliot and daughter Valerie, sat when they received the news that their husbands were taken from them and their children. Two of the Saint children would live in my hometown during high school and become friends. God allowed me to be drawn into this story physically. When I started my college education, I entered Moody Bible Institute as a Foreign Missions major, most surely because of the influence of this story and how God used it in my life. I found a copy of Elliot’s book, My Savage, My Kinsman which was my next eye-opening story of living with the Aucas after she was widowed by them, stretching my mind that the savage killers of her husband would eventually become her kin, her family in Christ. Amazing. I was at Moody Church when Elisabeth brought one of her Auca “sisters” to the U.S. and shared the story of their friendship and new faith in Jesus Christ. God pressed Elisabeth’s story and her commitment onto my heart. The next mind-bender was another of Elliot’s strong books called No Graven Image, a gutsy, honest novel with a challenge to not allow ourselves to make missionaries into idols, as a “graven image”. As missionaries are human beings with flaws and weaknesses, it should be acknowledged that like all of us, people need grace. The honesty with which Elisabeth expressed her thoughts and convictions sealed my allegiance to this woman and what she stood for. I relished everything she wrote. Click here to read some famous quotes. She challenged the conventions of our Christian culture in many new ways. As John Piper wrote yesterday, ‘she called young people to come and die. Sacrifice and suffering were woven through her writing and speaking like a scarlet thread. She was not a romantic about missions. She disliked very much the sentimentalizing of discipleship. In 1976 my new husband and I would hear her speak at InterVarsity’s Urbana Missionary Conference. She was the first woman to speak at Urbana in 1973 and again in our year. That crowd of 25,000 college students loved her. Her inspiration and influence is impossible to comprehend. We were challenged in new ways to give ourselves to God and not consider taking our lives back, as they were far safer with Him. I saved the cassette tape of that talk and listened to it many times. It is still in my collections. Take a look in a google images search for Elisabeth Elliot quotes. You will be ministered to by her. I wish I could put my finger on some old journals from those days, But as her home-going was yesterday, I want to post my memories now. I may revisit her influence on my life again, but I will share that my youngest daughter has this icon’s name as her middle name, spelled as her parents named her, “Elisabeth”. I wanted her influence to be remembered in my family. Elisabeth’s mark on many young womens’ lives could be summarized by her beginnings, that a young graduate of Wheaton College committed her life, her talents and marvelous intellect to go and serve an unreached people group in Ecuador as a single women. The courage and commitment raced into the hearts of those of us who heard her story. A few years later she married one of the most incredible, singularly focused young men, Jim Elliot, her equal in every way. Through Gates of Splendor and Shadow of the Almighty were her accounts of their short life together. Her later book about her husband, The Journals of Jim Elliot, inspires all who read it, and especially affected my husband, Jim in his early years as a believer. The most amazing thing happened as she aged. As she challenged women in her later years, she suggested that we live lives of godly femininity instead of lives influenced by a version of feminism,…some of us smiled. She had already set such a high bar for women to step up to live abandoned for God and sacrifice for His cause, giving of ourselves for the gospel in the most independent ways. It seemed to me that her message didn’t need an addendum. Her legacy was already established. She had given us freedom and wings that the world could not define by a label. Her example pushed us to be women who identify our God-given giftedness and in obedience to Him, develop our gifts so that He could use us for His purposes and His glory. Hopefully we have passed that along to our daughters and the next generation of women desiring to follow Jesus. We watched her life. She lived many lives as a woman in the spotlight…a wife of three incredible men, (losing two of them to premature death). She was a mother of one, eventually a grandmother to eight. 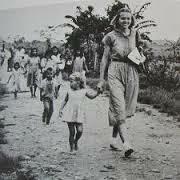 She was linguist, jungle missionary, prolific writer, powerful speaker, and eventually radio personality. The diversity and impact of her life seems overwhelming to me. Her impact was felt in her generation, my generation, and many younger generations to come. May her death allow us to rewind the messages now available online and read the books on our shelves…for a the gift of a fresh challenge from Elisabeth.